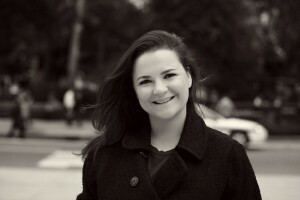 My name is Mariann Szucs and I am a professional photographer in New York City. I photograph weddings, proposals and engagements, people in love, family and kids portraits and anything else that inspires me. I live in Manhattan with my husband, David, our new baby girl, Emily and our French bulldog, Lilly. We are both very passionate about traveling and exploring the world one country at a time. We got engaged in Morocco, tied the knot in California wine country and honeymooned in Colombia. I have been photographing celebrations, people and weddings for over thirteen years. I graduated from Western Connecticut State University with a B.A. degree in Photography and continue to learn through various photography workshops and conventions and also by working with other photographers across the states. I am an award winning member of the Wedding Photojournalist Association and the Fearless Photographers. My wedding photographs are frequently published in leading national bridal magazines such as the Knot and Manhattan Bride. My photographs were featured at the Michael C. Fina flagship store on Fifth Avenue in Manhattan and on television shows Say Yes to the Dress and Good Morning America. You can view my wedding, proposal and engagement photography on the Blue Daisy Weddings site, my boudoir portrait work on Blue Daisy Boudoir and my kids and family portraiture on the Blue Daisy Kids site. Blue Daisy Weddings and Blue Daisy Kids are also on Facebook: blue daisy weddings and blue daisy kids. On my blog I post images from sessions I am working on, the weddings and portraits and the stories behind the images. I hope you enjoy reading my blog. If you have any questions please feel free to e-mail me or leave a comment. If you need to reach me or just want to say hello, please send an e-mail to mariann@bluedaisyweddings.com. Photo of me is by Amanda Picone. after a long time without contact I am sending now much much greetings from Germany’s greatest town Berlin. Karin Miller - Your work is absolutely beautiful. Krystal "Afrodisiac" Hill - Hi Mariann!!! Hope you had a wonderful stay here in Tampa, Fl and I really do hope you had as much fun at the trash the dress shoot as I did!!! Hopefully you got some GREAT images to complement your beautiful work that you do already!!! hope you are having a great year!! I hope you are doing well! I never did contact you to say what a wonderful job you did on Katherine and Derek’s wedding. The pictures were incredible and so imaginative that I would recommend you to all who are planning to get married. Too bad you are in New York and we live in the deep south!! If you ever need a recommendation (which I sincerely doubt), please contact me. Michael Chadwick - I really like your wedding work! I love the clarity in your formals, the warmth of certain shots, and the composition you use to help make the photographs really pop. I’m also in New York and hope that our paths will cross at some point. I subscribed to your blog and look forward to seeing your future work! Diana G - Why didn’t I know about you a few years ago! You have such an important role. It is not like other pictures that can be taken some other time or adjusted somehow. People get married once, try to! and they won’t go through all of the preps just for pictures. It has to be just right that day! Jon @ photos - I love your pictures. The photo of the happy couple standing behind the taxi is very nice. The contrast of colours makes the photo stand out. Goradde - oh man, you take the best photos.